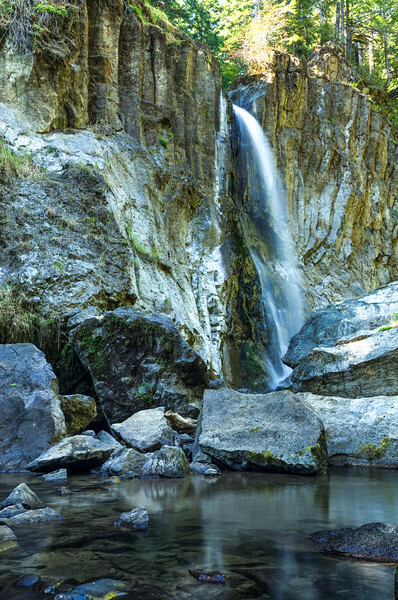 This hike offers something for everyone, a waterfall, a huge suspension bridge and a nice view of Coast Range forest. The trail is wide and well maintained. he 240 foot long bridge reaches from one wall to the canyon to the other, over 100 feet above the creek. The walkway surface is 3 feet wide. The bridge is supported by two 29 foot towers and anchored by bolts planted in rock on one side and in 29 cubic yards of concrete on the other. 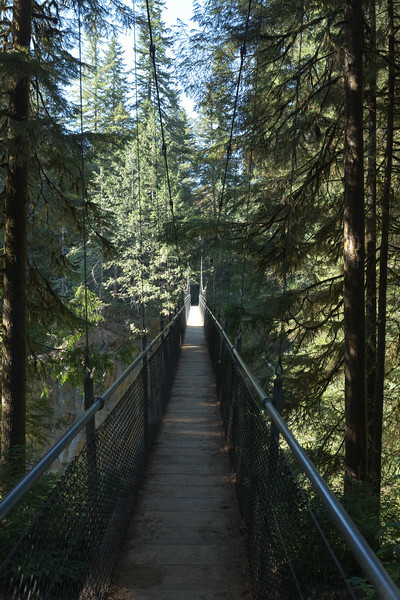 The bridge provides a view down to 80 foot Drift Creek Falls, as well us closeup views of the upper forest canopy. 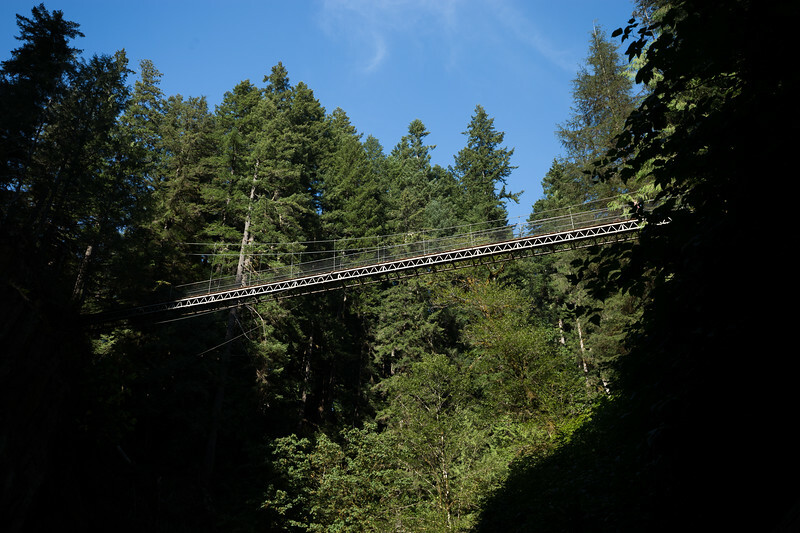 "Drift Creek Bridge is unusual for light pedestrian suspension bridges in that it incorporates a quasi-stiffening truss in the deck. The bridge is anchored in rock on one side of the gorge and concrete deadmen are used on the other. In August of 2010, a huge chunk of the Drift Creek Falls cliff cleaved off and fell into the canyon below, drastically altering the appearance of the falls. When this happened it broke away reviewing columnar basalt. Part of the Siletzia formation created 55 millions years ago, this formation is similar to the basaltic flows found in the Hawaiian islands. 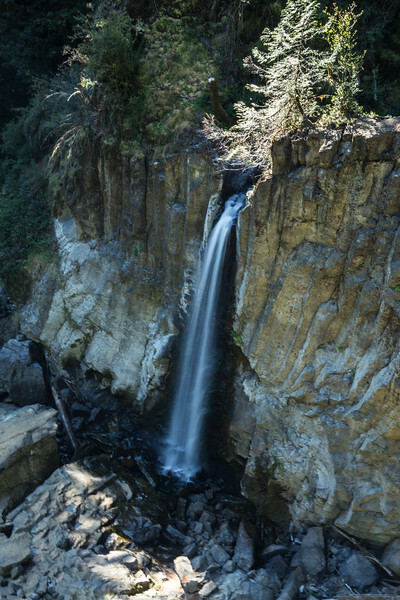 The majority of water that plunges the 75 feet over Drift Creek Falls originates at Horner Creek. 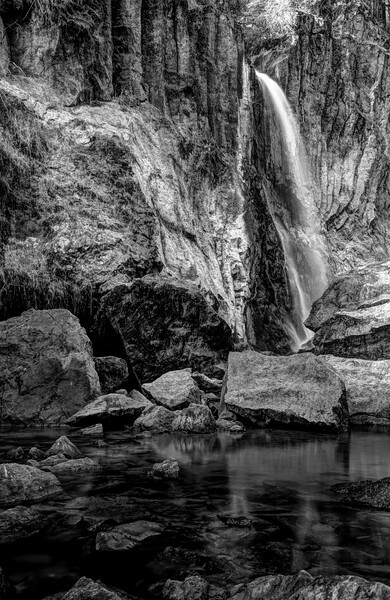 There are a network of tributaries and underground streams which produce the torrent eventually witnesses at the falls.